In this post, you’ll find activities for kids around the Maya calendar. This resource can be used for the Maya Key Stage 2 (KS2) curriculum. 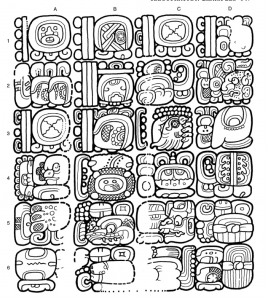 To make your own Maya calendar, you can download our free resource to print (5 separate rings to be cut out in white card). 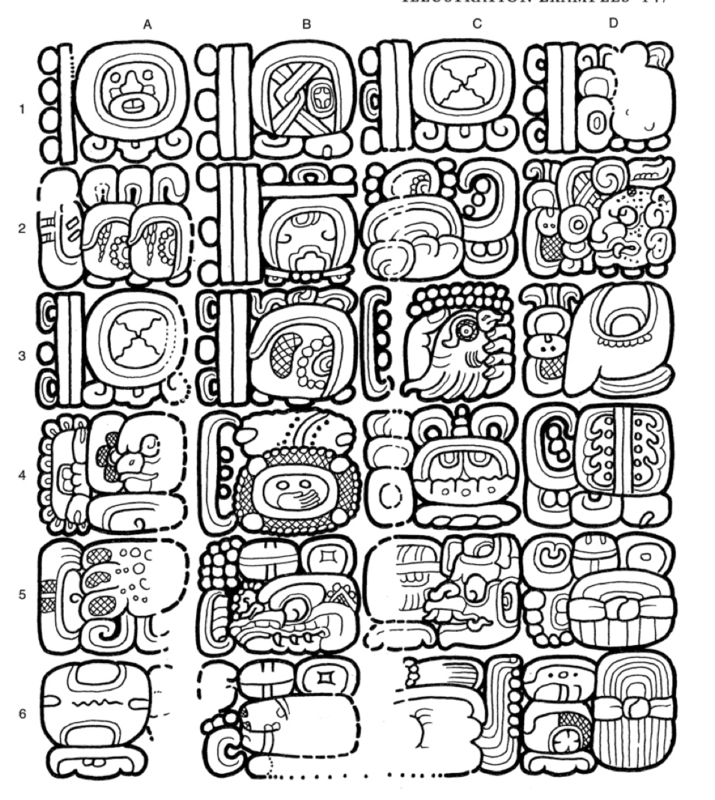 See the post Make your own Maya calendar. 2. Can you read the calendar round date below? The image above is of a wooden lintel, from Temple 1 at Tikal, Guatemala. The first two paired glyphs on the left give the calendar round. One is a number and day of the Tzolk’in and other is number and month of the Haab. What is the date (answer at bottom of page). Teachers can ask their class questions about the Maya Calendar to aid in their understanding. For example, if today is 1 Imix, 3 Sip, what will be tomorrow, or yesterday, or next week? Using just the sacred calendar ask your class to make their own prophecies for each day. For example 1 Imix it will rain, 2 Ik is good day to plant seeds and so on. A few examples – if today is 6 Men, 10 Yax what would be the date in 2 days’ time (8 Kaban, 12 Yax) or if today is 6 Ben 2 Chen, what would be the date 3 days’ ago (2 Ok, 19 Mul). 1. If today is 1 Imix, 2 Pop what would be tomorrow? Well done! You have just worked out a date in the ancient Maya calendar! The Smithsonian Museum website has an interactive date conversion where you can type in, for example, today’s date and it will give you the date in the Maya calendar. Feel free to ask a question in the comment section below (email not needed).